Popular iOS podcasting app Castro is now free to download and use. 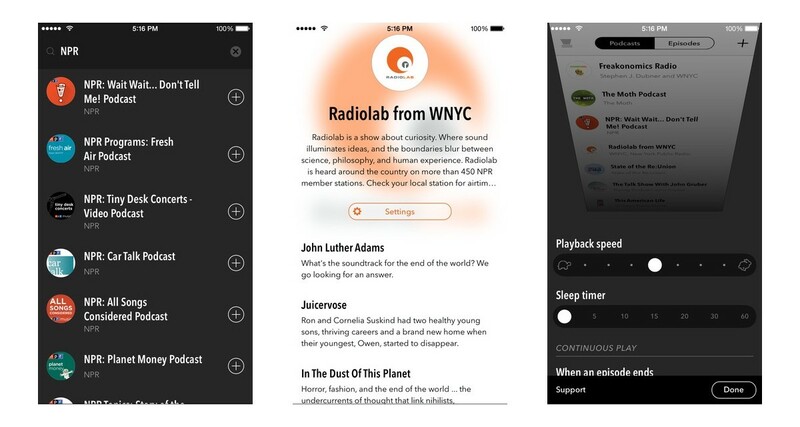 Like another fan favorite, Overcast 2, it will rely on good-faith donations to sustain it. Castro 1.5 also brings 3D Touch compatibility, and Spotlight search for finding your favorite podcasts. Relying on patronage, Castro users can support the developers with three donation models: $3 for three months, $6 for six months and $12 for a full year of Castro. Version 1.5 is a bit of a stopgap, too. Castro says it’s hard at work on version 2, but offers no tidbits on what may be included there. The real interest is in Castro’s freemium model, which parrots Overcast’s own. You don’t have to donate, but by gently nudging you to support the developers, Castro and Overcast are implying worth. And they should; both are great podcasting apps, and as users we should definitely support developers. Of course, support should also yield returns. We don’t know if the donation model will yield better apps down the line, but it’s where we should focus attention when it comes to patronage.